What’s worse? Driving drunk or driving tired? We’re guessing a majority of you answered driving drunk almost immediately. Maybe you chose it because of all the attention it gets in the media or maybe because you would never drive drunk but have driven tired on multiple occasions. Whatever the reason, you may want to rethink. According to a study by the AAA Foundation for Traffic Safety, 41% of drivers have admitted to falling asleep while on the road; that’s two out of every five drivers! Furthermore, one out of every six fatal car accidents are caused by drowsy drivers compared to two out of every six fatal accidents being caused by drunk drivers. Okay, yes, we admit that more fatal accidents are caused by drunk drivers rather than tired drivers, but that does not mean that it is not a serious problem! The main reason it is such a serious problem is, ironically, because people don’t think it is a serious problem. Campaigns such as “Drive Sober or Get Pulled Over” and “It Can Wait” have raised awareness about the risks associated with drunk driving and even texting while driving. However, no such campaign exists for drowsy driving and people are unaware of the dangers associated with getting behind the wheel after a long shift at work or after staying up all night with a sick child. These risks are only emphasized by the fact that driving tired is a much more frequent action than driving drunk. Depending on how long your commute is, you probably drive by a minimum of ten people fighting to keep their eyes open in the morning on the way to work. The MythBusters, Tory Belleci and Kary Byron, put drowsy driving to the test. They wanted to know if driving tired was in fact more dangerous than driving intoxicated and their results may surprise you. They were tested on two courses, one mimicking city traffic with sharp turns, stoplights, and parking obstacles to test reaction time while the other was simply a race track on which they made 25 monotonous laps to test attention span. After driving both tracks sober, tired, and after taking some shots of alcohol, it was found that Tory’s driving was ten times worse driving tired than it was driving drunk and Kari’s driving was three times more unpredictable drowsy than when intoxicated. 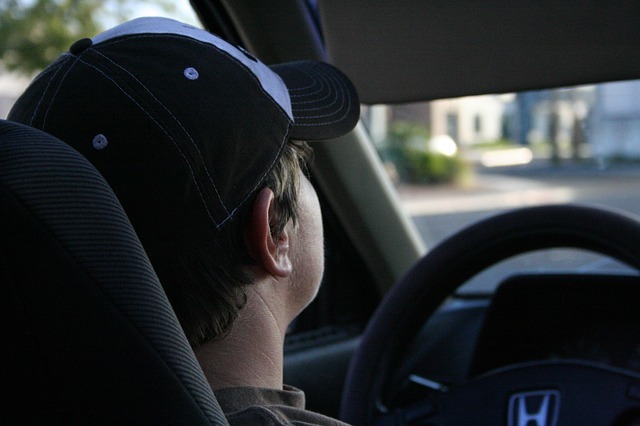 In the end, they determined that driving drowsy was in fact more dangerous than driving drunk because of their increased reaction time and lack of focus. One thing that needs to be changed is our mentality towards drowsy driving. If you were to call up a friend at midnight and say you needed a ride because you were drunk and stranded, they might groan a bit but they’d get out of bed and come pick you up, right? But what if that same friend called you for a ride at seven in the evening after working a double shift? How would you react? You might say, “Really? You’re really THAT tired that you can’t drive home?” You would never say to your inebriated friend, “Really? You’re really THAT drunk that you can’t drive home?” Never. What we’re trying to say here is don’t underestimate the dangers of drowsy driving and take the necessary precautions to avoid it. Drink coffee or another form of caffeine at least thirty minutes prior to getting behind the wheel and when going on extended road trips make sure you get a good night’s sleep the night before as well as take a nap break every two hours. Most importantly, if you know your mind is not fully functioning due to drowsiness, don’t be afraid or embarrassed to ask a friend for a ride. If they are as good of a friend as you think they are, they’ll have no problem taking some time out of their day to make sure you stay safe.